The beauty of this game is that there are many different ways to dominate. Two of the main avenues are through chaos or control. You can be a fearsome wrecking ball of preternatural talent, like Suarez or Bale. Or you can be a masterful midfield maestro, like Ozil or Xavi, who prefer to have a vice grip on the match, influencing play via their calculated passing and movement. They are the string-pullers of the game. Then there are the types who prefer to let chaos reign supreme, impacting play by injecting the proceedings with reckless abandon and unpredictability. They are the Jokers of the soccer realm — they just want to watch the world burn. 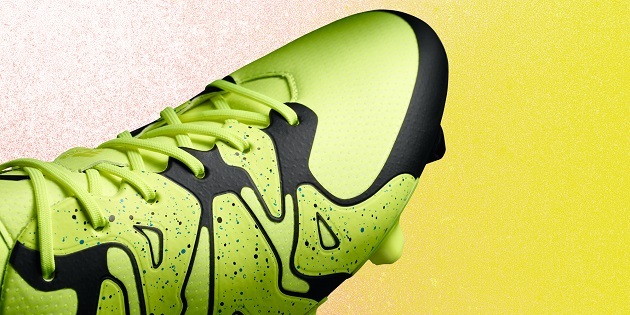 As you probably know by now, adidas has burned down their footwear line. 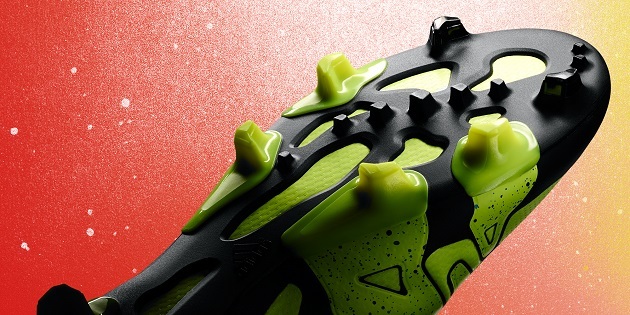 All of your old favorites (the Messi F50, the Predator, the Nitr… actually, the Nitrocharge won’t be very missed) have been dropped in favor of a fresh slate. So where does the Three Stripes go from here? 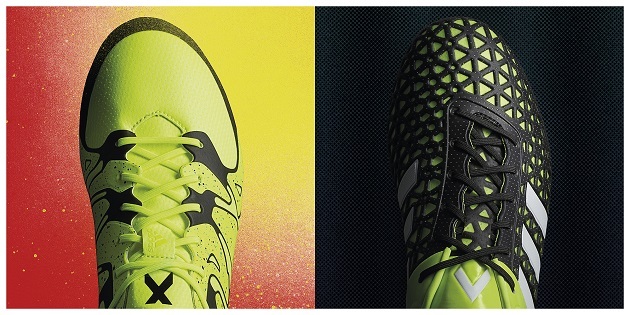 Smartly, adidas has tapped into the two archetypes described above for their all-new X and ACE boots. They have looked at the kind of players that make a real difference on the game and distilled those styles into their footwear. These aren’t just mash-ups of old silos; this an entirely new ballgame. Let’s start with the X 15.1. 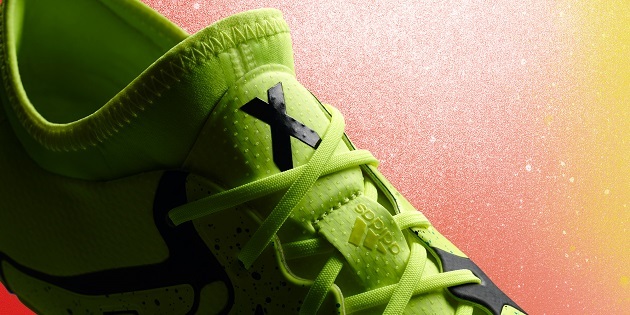 As I mentioned above, the X15‘s identity is as the chaos-makers, and, as you can tell by its design, adidas have strongly hinted at that. Gone are the traditional three stripes down the sides, which has been a staple of adidas footwear in all channels for decades. Instead, they have used a bold, random-seeming, amoeba-looking design. It’s a clear separation from their previous work, even the craziest Predator designs never looked this unique. 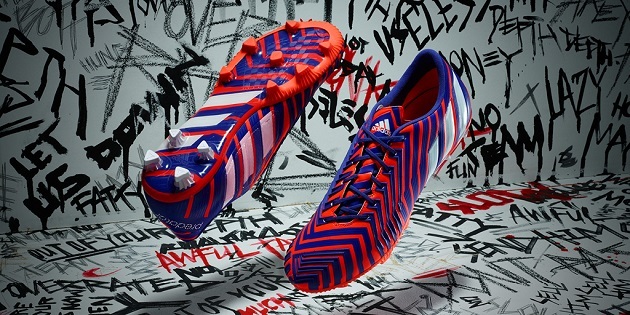 Of course, the adidas logo is on the heel, lest we forget whose boot we have on. Overall, the Solar Yellow and black color combination is eye-catching without being too polarizing, which you want to avoid in a launch colorway. But what about the tech in this thing? Adidas have decided they would include a collar, but nothing approaching Nike’s tall Dynamic Fit Collar. 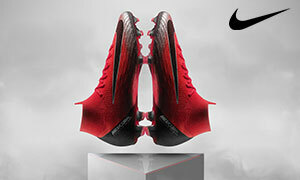 This was a good choice, considering the resistance many players have shown to Nike’s version. It’s called a Techfit collar here, and is created to give you flexible support around your ankle. The sock-like compression fit should make your leg feel nice and comfy. 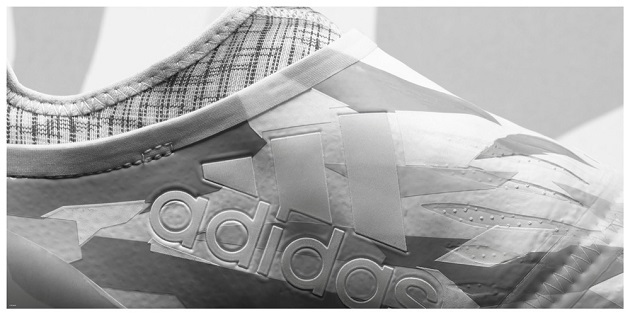 Moving down to the upper material, adidas have fashioned a soft, close-fitting X-SKIN that lends lightness. However, stability is key on the X15 as well, so they have built in a reinforced cage to keep your foot wrapped up and locked down. That soft-yet-stable dynamic is difficult to master, but they may have done it here. Now to the outsole. 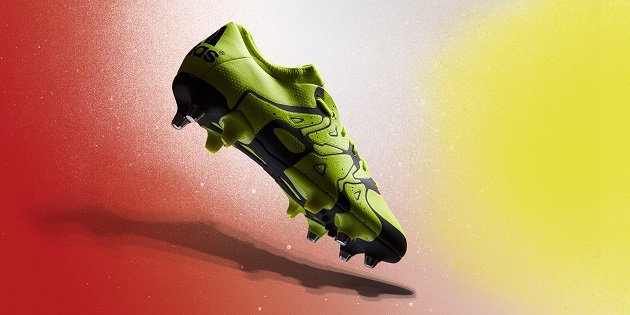 One of the X15’s most unusual traits is its soleplate accommodating both firm ground and artificial ground play. With its six studs in the middle of the forefoot, this FG/AG construction (called X-CLAW — how’s that for intimidation?) prioritizes traction above all else. 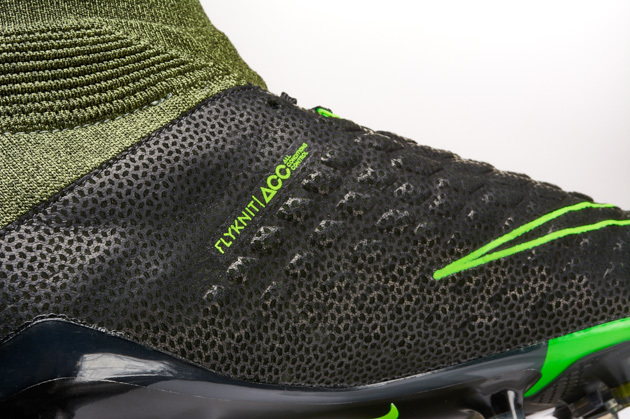 Similar to the stud arrangement on the updated F50 that was introduced last January, this soleplate makes for excellent grip and explosive movement. 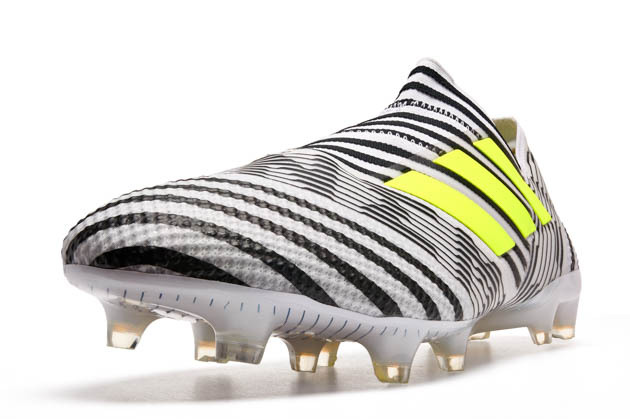 With a more traditional adidas aesthetic, the ACE15 enters as the X15’s more disciplined, control-obsessed brother. There’s no Techfit collar, but there is lovely padding right around the ankle area. The upper is made from a three-layer engineered skin called “Control Web” that is supposed to give you that perfect touch you so crave. Adidas has also treated it with NSG (Non-stop grip), which is a newly-developed skin that utilizes 3D dots for the best possible control. What I love about the design here is how clean and orderly it all is. Notice how the white stripe closest to the middle of the shoe creates a clean break from the mostly black front half to the Solar Yellow back half. 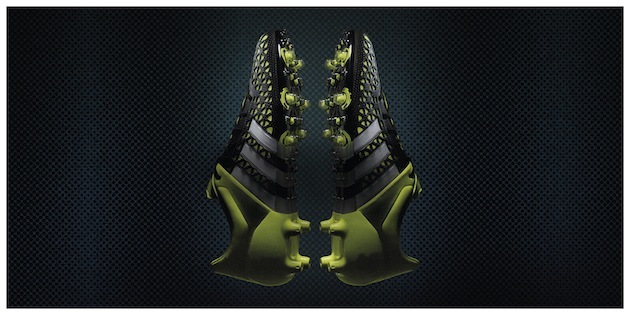 Then notice how those three stripes continue through the bottom of the cleat. Visually, the ACE is a real treat. 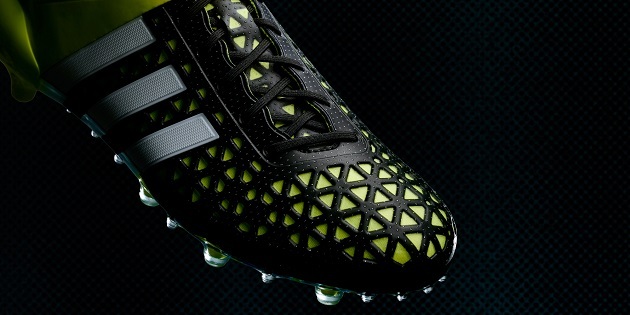 When it comes to traction, the ACE15 has you covered as well. Conical studs make up the entirety of the soleplate, with large ones lining the perimeter and smaller ones lining the inside in two rows. 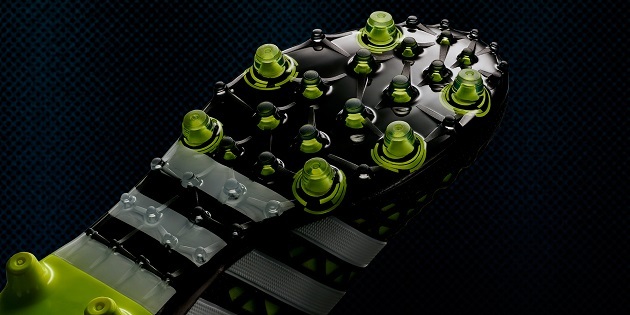 Also built for FG and AG fields, this outsole values stability and gives you plenty of 360 degree movement. What’s so perfect about adidas’ design choices here is that, depending on your disposition, you probably very much prefer one over the other, and that probably tells you what kind of player you are. Personally, I enjoy the coherent visuals of the ACE, while others love the bold, caution-to-the-wind design of the X. It’s the beauty of soccer that we can have diverging opinions on this but love the game and its gear all the same. Have thoughts on the X and ACE? Let us hear ’em.